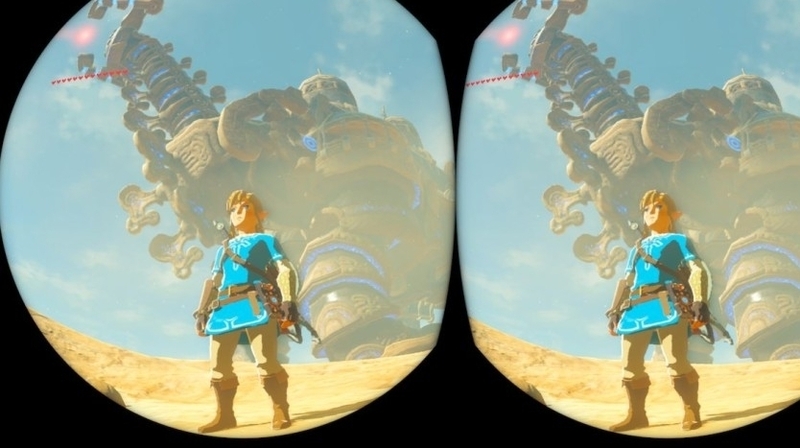 In a Nintendo UK blog post , Breath of the Wild technical director Takuhiro Dohta explained his team deliberately chose not to alter the main game for VR support. Make yourself go cross-eyed and you can see how it looks.Instead, the game's VR option is simply available at all times - so you can switch it on "when there's something interesting to see," Dohta says, "like a location with a great view, a favourite character, or a favourite piece of equipment". "Our challenge became coming up with a way to create a fun VR experience without changing that core aspect of the game's design," Dohta said. "If you're not a fan of the motion-controlled camera, you can turn it off by adjusting the Aim with motion controls setting under Options, and enjoy the VR experience that way instead. Even with the motion-controlled camera turned off, I hope this new experience is enough of a twist to give players a reason to try the VR visuals out."